Are you looking to buy a home? You probably already know the process requires a lot of time and effort. By the time you find your dream property, you might be worn out and considering skimming overdue diligence steps. As home inspectors in the New England area, we’re here to tell you it’s never worth it to skip a home inspection. The best way you can protect one of the biggest investments you’ll ever make is to get a home inspection before buying. We could tell horror stories about buyers who only thought about getting a home inspection until after it was too late. But it’s not too late for you. 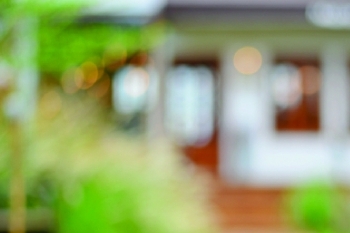 Read this article to discover the three reasons every homebuyer should get a home inspection. Even the most picture-perfect home might be hiding deep structural deficiencies. A home inspection offers you the power of negotiation. Your home inspection should give you a clear idea of what repairs will be needed, and how much those will cost. And if you get a HouseMaster inspection, we offer a unique limited repair reimbursement guarantee to help you feel even more confident in our work. Once you have an estimate of what repairs will cost, you can work with your real estate professional to negotiate with the seller to repair problems or lower the selling price. You have the right to insist on a negotiation. A home inspection takes the decision-making power from the seller and puts it in your hands. You can make an informed decision about whether a property is worth the potential work you might have to put in—or whether it’s best to walk away. And although walking away might not sound ideal, it’s actually the best option if you find out the property is likely to be a money pit. When you take out a loan to buy a property, the bank you are borrowing from will have you spend money to assess the marketability of the residence. The home appraisal process protects their investment in case you default on your loan. A home inspection, on the other hand, is a way to protect your investment. Spending a small amount of money upfront helps you make sure you’re buying what you think you’re buying, without any nasty surprises later. Let’s say you go into a property that seems perfect—a little run-down, sure, but overall in good condition—and find out after you sign the purchase agreement that the roof needs to be replaced, the electrical wiring needs to be gutted and reinstalled to be up to code, and there’s asbestos hiding in the ceiling. It’s every homebuyer’s nightmare—and a home inspection helps make sure it won’t happen to you. When you know whether maintenance has been deferred and what kind of repairs a property will need, you can form a realistic idea of how much it will cost to fully rehabilitate a property. That way, you won’t go upside-down on your loan when home repairs become too much to handle. A good home inspection will not only give you a clear picture of the current state of a property, it will also be an educational process. Many first-time homebuyers are unfamiliar with the unique systems that operate in every home—electrical, ventilation and insulation, plumbing, roofing, air conditioning and heating, and more. An experienced home inspector will make sure homebuyers are present during the home inspection. At HouseMaster, we go out of our way to make sure homebuyers accompany us during each inspection. That way, we can give you a full picture of the maintenance required to upkeep the property, if you choose to buy it. We can also recommend vetted companies for repair and maintenance concerns at discounted prices. Ready to see the value of a home inspection yourself? Schedule a home inspection today, and we’ll be in touch shortly. We proudly serve the communities of New Hampshire.